@adrianalima keeps her #makeupgamestrong with products from our newest collab… dropping this week. 👀 Think you can figure out who we're working with? Leave your guess below! Maybelline is giving a whole new meaning to “makeup game strong” with its unlikely collaboration with sports brand Puma. The collaboration was revealed through an Instagram video series featuring supermodel Adriana Lima decked out in Puma activewear and fierce metallic eyeshadow. The high-performance makeup collection taps into the obsession with athleisure by fusing beauty, fashion and sport. The products feature long-wear technology, including a smudge-proof mascara, long-wear lip color and more. Everything comes in on-the-go packaging, perfect for post-workout touch-ups. 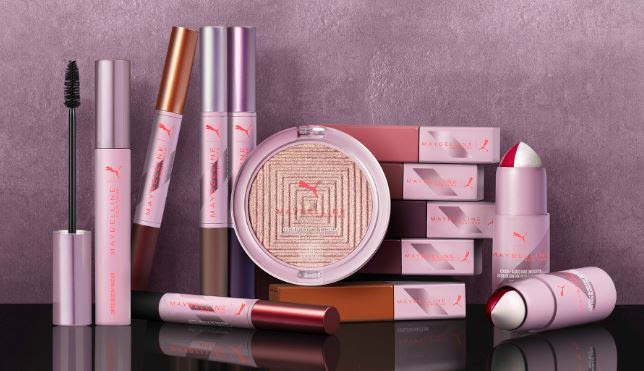 The five limited-edition products in the Maybelline x Puma collection will be available globally by February 8.